Installing basement floor insulation on top of the concrete floor is a good idea if you decide to finish off the basement. Insulating the concrete floor in your basement will save you money on your heating bill, keep your basement warmer, and help keep the rest of your house warmer. Adding concrete floor insulation and finishing off the basement will also create added living space which will increase the value of your home. 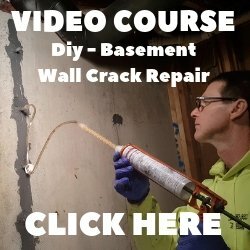 How to install basement floor insulation on top of your basement floor. 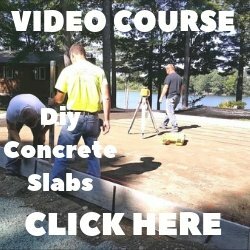 First, evaluate the condition of the concrete floor. If you have moisture issues click on WATERPROOFING BASEMENT FLOORS to learn how to deal with a damp basement floor. If the basement floor is rough or unlevel you may need to patch or grind these spots to start with a level surface. This insulated basement sub-floor on top of the concrete floor will take up about two inches. Check with the building code officer in your area to see what you need for a minimum height from ceiling to floor. Make sure you comply with the building codes. Install 6-mil polyethylene sheeting on top of the concrete floor for a moisture vapor barrier. Overlap the edges at least 6 inches and tape the seams. Roll the outside edges up the wall about 1 inch and use caulking to adhere the poly to the walls. Lay out pressure treated 2 by 4 sleepers around the perimeter of the room and fasten them to the concrete with 2 1/4 inch masonry nails. Mark these sleepers for additional sleepers to be installed 16 inches on center and laid out in one direction across the room. Nail these remaining sleepers to the basement floor, nailing about every 2 - 3 feet. Check the sleepers for level, using shims if needed, to keep the new sub-floor as level as possible. Fit 1 1/2 inch rigid insulation in between the sleepers, these strips should be about 12 1/2 inches wide and fit very snug with no gaps. After all the concrete floor insulation has been installed, place 3/4 inch plywood sheets across (not parallel to) the sleepers. Start every other row with a half sheet to stagger the joints. Screw the plywood every 6 inches along the edges and every 12 inches in the center. Now you have an insulated basement floor that you can finish off with the flooring material of your choice. Click on BASEMENT FLOOR SEALER for tips on what to use to seal your basement floor. Click on PAINTING A BASEMENT FLOOR to learn how to apply epoxy paint to your concrete floor.